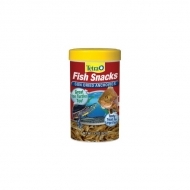 Tetra Fish Snacks Sun Dried Anchovies are a premium quality, nutritious supplement to Tetra primary care diets. A Pharmaceutically Freeze Dried Food Loaded With Multi-Vitamin Offering Superior Nutrition And Palatability. 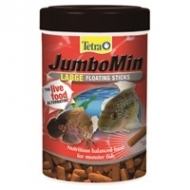 An Excellent Daily Diet Or Treat Great For All Types Of Freshwater & Marine Fishes, Turtles & Frogs Too! 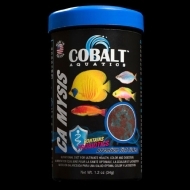 An Excellent Daily Diet Or Treat for All Types Of Freshwater & Marine Fishes, Invertebrates & Other Marine Species. Great For Turtles & Frogs Too! A Great Treat Or Daily Diet For Goldfish, Certain Reptiles & Tropical Fish, Discus, Smaller Freshwater Fishes, Turtles & Some Lizards. These floating sticks are an excellent alternative to messy live foods for aggressive, carnivorous fish. 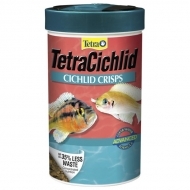 Now Cichlids can enjoy the benefits of Tetra’s unparalleled advanced technology feeds (maximum nutrition, feeding convenience, improved tank clarity) with a higher vegetable content. 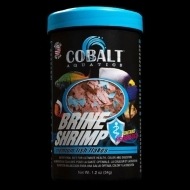 Brine shrimp based formula for all tropical and marine fish. 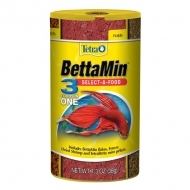 Highly palatable formula helps both fresh water and marine finicky fish to eat prepared foods. Promotes consistent color and consistent. Enhanced with Probiotics and Cobalt Blue Flake's triple vitamin dose and immunostimulants. Will not cloud water. 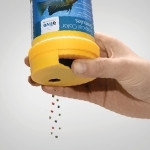 Hikari Goldfish Gold baby pellet is specially formulated to bring out the vibrant colors in goldfish and baby koi. Rich in carotene, an easily assimilated color enhancer, Goldfish Gold starts your pet off right during that all important first year. The carefully balanced nutrients and vitamins will keep your aquatic pet healthy and full of energy. 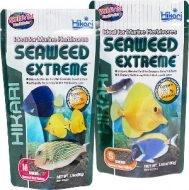 After only a short time feeding Hikari Goldfish Gold, your goldfish or baby koi will begin to look their best. 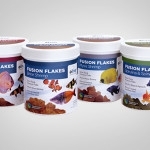 A balanced daily diet for all types of goldfish, rich in plant matter and offering excellent growth characteristics! 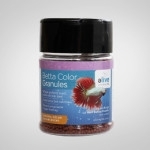 A food developed specifically to promote prominent head growth while enhancing the coloration of goldfish kept indoors where adequate UV rays are not available to help them formulate colors. 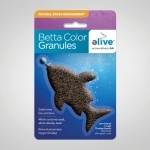 Great for Oranda, Lionhead, Azumanishiki, Ranchu and most other fancy goldfish. Regular feeding insures desirable body structure and excellent appearance.